Johnny Depp has been dropped from “Pirates of the Caribbean,” according to the film franchise’s original scriptwriter Stuart Beattie. Disney Studios plans to reboot the billion-dollar franchise and will be axing Depp, Beattie told DailyMail TV at a recent red carpet event in Hollywood. The 55-year-old Depp had played Captain Jack Sparrow—a major role in the five “Pirates” movies over the past 15 years. “I think he’s had a great run. Obviously, he’s made that character his own and it’s become the character he’s most famous for now,” Beattie said. “Before Jack Sparrow came along, [Depp] was considered this kind of quirky, independent actor that made these really cool little Tim Burton films, but he was by no means a movie star and a lot of people thought we were crazy for casting him at the time,” Beattie told DailyMail TV. “Because he wasn’t a proven commodity; you know, a big movie star. And we were making a big movie and we were putting this quirky, independent actor in the middle of it and people thought we were crazy. The fact that it worked is a miracle,” he added. “Something just clicked and it was magic and connected with audiences. I’m proud to be a part of it,” Beattie said. The “Pirates” series debuted in 2003 with “Pirates of the Caribbean: The Curse of the Black Pearl.” The series has since grossed $4.5 billion worldwide, making it the 12th highest grossing film series of all time. The most recent “Pirates” release was “Dead Men Tell No Tales” in 2017. It was the worst performing of the five. “I think Jack Sparrow will be his legacy. It’s the only character he’s played five times, it’s the character he dresses up in to visit children in hospitals, it’s what he’ll be remembered for,” Beattie said. In plans for the “Pirates” reboot, Disney has met with writers Rhett Reese and Paul Wernick, according to Deadline. The two writers are best known for their work on the “Deadpool” blockbusters released in 2016 and 2018. Beattie confirmed with Daily Mail TV that Reese and Wernick are working on new “Pirates” script drafts. Depp will appear next as Gellert Grindelwald in “Fantastic Beasts: The Crimes of Grindelwald,” the second film in the “Fantastic Beasts” series, which is the prequel to the “Harry Potter” series. 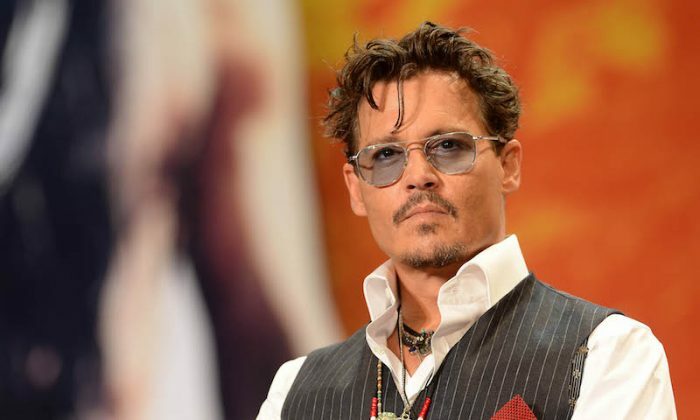 The actor has experienced a backlash from fans since May 2016, when then-wife Amber Heard filed for divorce and requested a restraining order against Depp on grounds of domestic violence. In May this year, Depp’s former bodyguards filed a lawsuit claiming unpaid wages and poor working conditions. In July, Depp was sued by a film crew member whom he allegedly punched twice on a set of a movie about the killing of rapper Notorious BIG.